The Most Affordable and Popular B12 Injection. 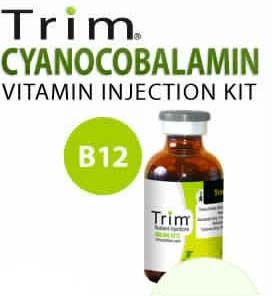 This TRIM ® B12 Injection is Cyanocobalamin, the most popular of the B12 family. This premium supplement injection has been utilized for countless years for a large number of conditions. It is readily switched to Methylcobalamin for the body’s consumption.